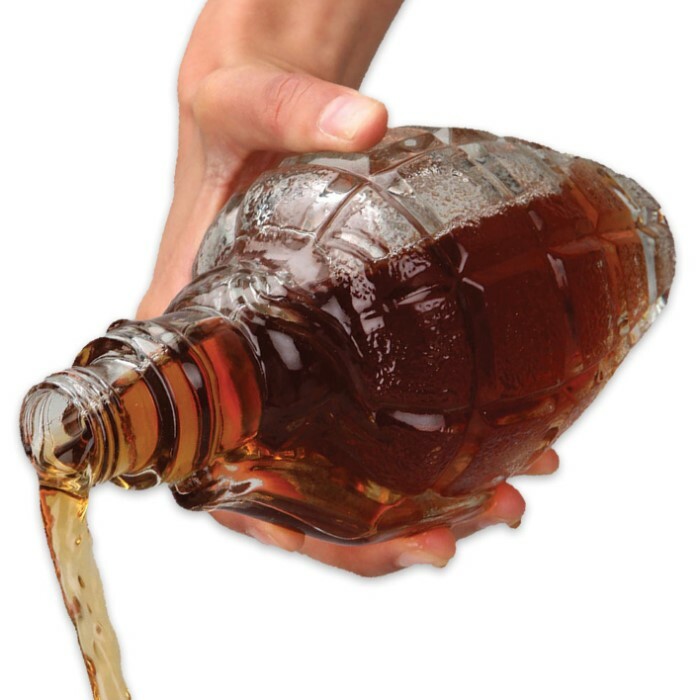 Grenade Beverage Decanter | BUDK.com - Knives & Swords At The Lowest Prices! 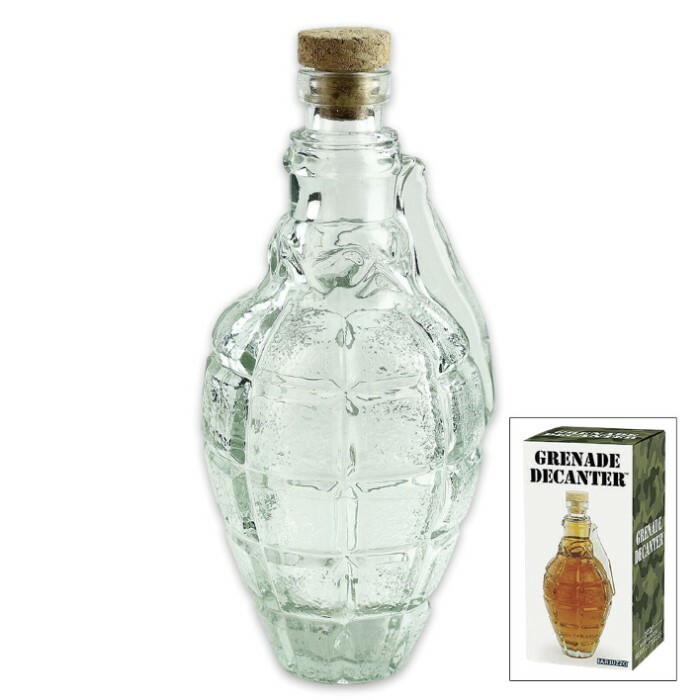 Dimensions: 8 1/2"x 3 7/8"
The Grenade Decanter is sure to blow you away! 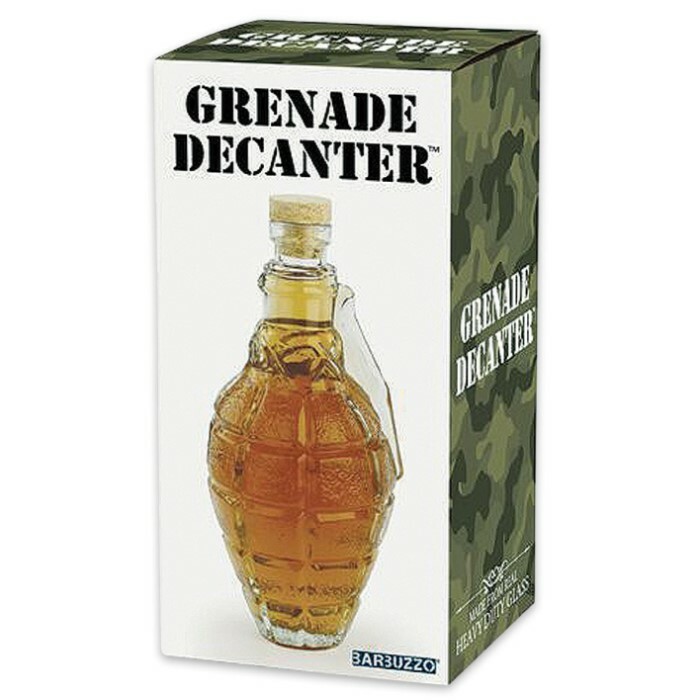 This grenade is not explosive, but that does depend on what you store in it! Made of quality BPA free glass, the grenade shaped decanter will hold 16 oz of your favorite beverage. Give it as a unique gift or put some “boom” in your party!